Support Shaukat Khanum Memorial Trust in this exciting journey through perilous waters. You’ll have to be agile and quick to tap your way clear of the stinging tentacles of Bernie the Jellyfish and the suffocating grasp of Scary Octy the Octopus. 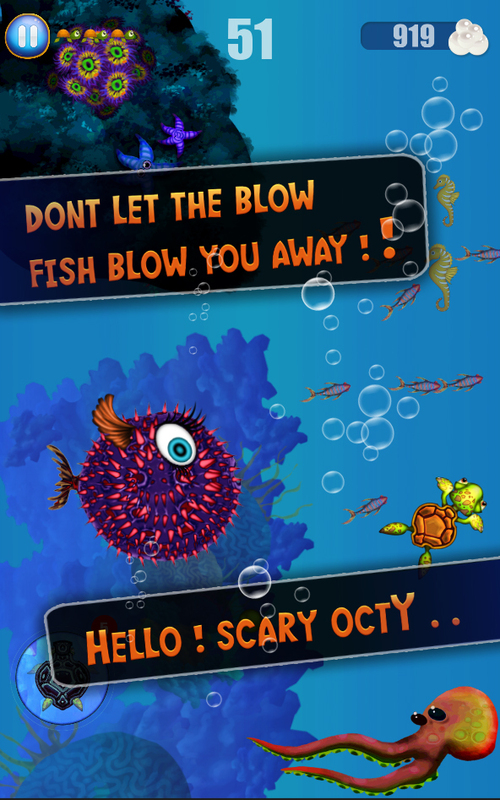 Be extra careful as you weave through caves of razor-sharp coral while avoiding the sharp poisonous barbs of Spike the Urchin and Puffy the Blowfish who could blow you away in an instant! Collect gleaming pearls to unlock the other colourful characters to swim as in this grand underwater world, and make the best use of your diver’s armor. 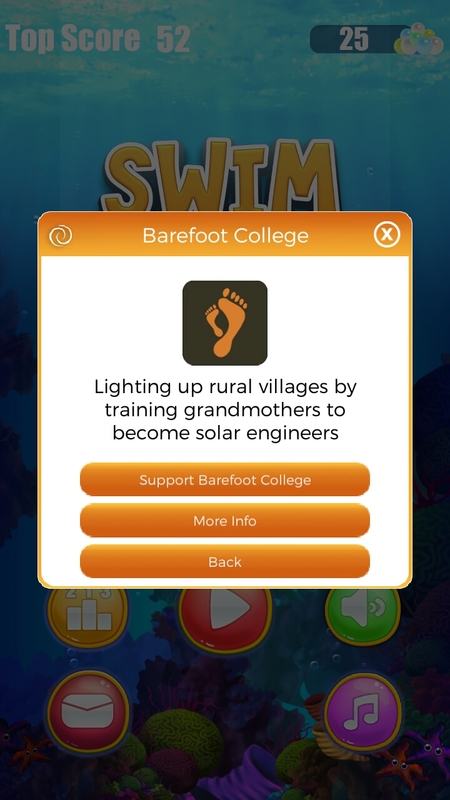 These, and many more challenges await, so answer the siren call of the sea and tap your way to subaquatic fame and support Shaukat Khanum Memorial Trust while doing it! As the only specialised cancer facility in the entire region with all the cancer diagnostic and therapeutic facilities under one roof, Shaukat Khanum Memorial Trust realises its responsibilities in the fight against cancer. It has established a number of centres all over Pakistan that help in the awareness, diagnosis, and treatment of cancer in Pakistan. 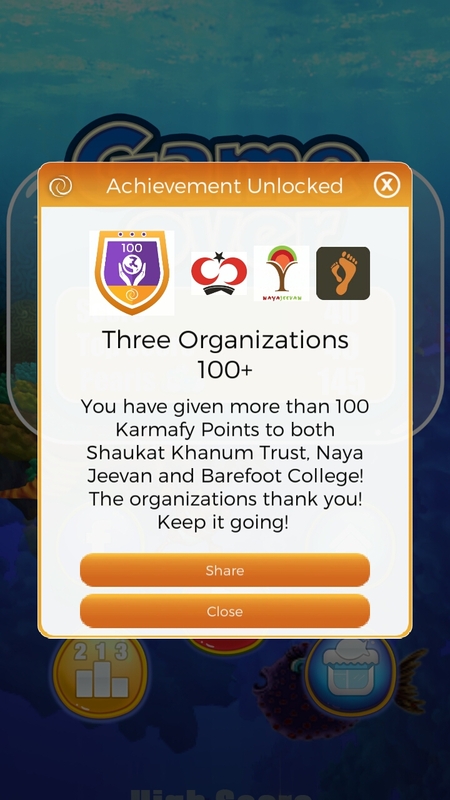 The more you play and the more Karmafy points you collect, the more support goes to your favorite cause! It's that simple. Find out more at karmafy.com or join us at facebook or twitter.